What Is Facebook Messenger Lite? Facebook Messenger is one of the most popular messaging platforms available today. 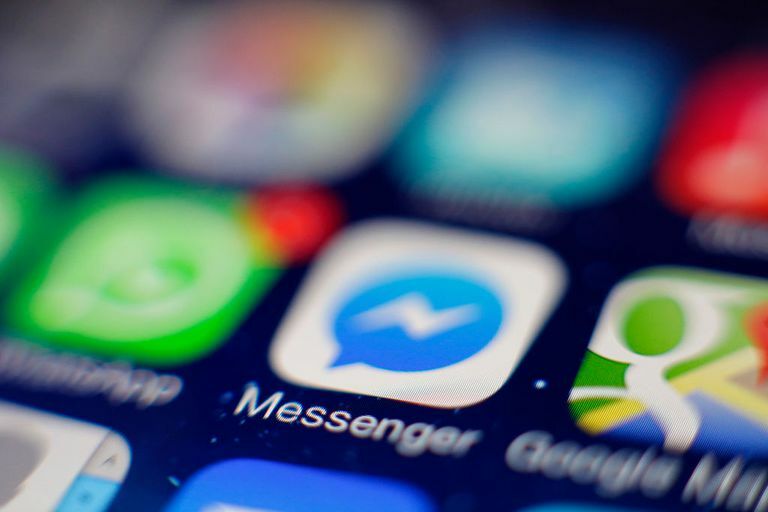 Despite its popularity, not everyone needs an app as powerful as Messenger, which is why Facebook decided to launch a stripped down version of it, called Messenger Lite. Messenger Lite is an Android app that includes only the core features of the standard Messenger app. You can easily send text, photos, links and stickers to anyone on Messenger or Messenger Lite. You can even video chat with friends — a feature that was just introduced to Messenger Lite in March of 2018. The standard Messenger app includes extra features like games, stories, extensions, automated messaging from brands and more. Messenger Lite, on the other hand, keeps it all focused on one thing and one thing only — messaging. The result is a simpler, less distracting messaging app that doesn't hog as much storage space, take as much processing power, use as much data or require a super strong signal as Messenger does. If data usage is a concern, there's also a Facebook Lite app that makes a good companion to Messenger Lite. Messenger Lite works very similar to how the standard Messenger app works, but instead of seeing several menu options at the bottom of your screen (plus more at the top), you'll only see three main tabs that represent the core features of Messenger. These are Home (the house icon), Contacts (the two people icon) and Account (the profile photo icon) located at the top of your screen. When you tap an existing conversation or start a new message, you'll notice almost all of the same buttons in the exact same places as you'd see on the standard app. You can type your message in the text field, send photos or files, record a message to send, send a Like sticker, call a friend by phone, start a video chat, view a friend's profile (which will open in Facebook Lite if you have it), mute them or block them. Even though Messenger Lite includes the three main core features of the standard app, you might be wondering if there are any significant differences in how those core features function. Find out below how they might differ slightly from the standard app. Your message inbox, which is located on the Home tab, will appear simpler than it does on the standard app. Instead of seeing various sections like who's currently active, your most recent conversations and your Favorites, your're shown just a simple inbox of your most recent conversations. When you switch to the Contacts tab on Messenger Lite, you'll only see a list of people who use either Messenger or Messenger Lite (plus a Search field at the top to quickly search for a specific friend). This is vastly simpler compared to the standard app, which features options to scan friends' codes, invite friends, view requests to connect, add friends by phone number, upload your contacts or view all of your Facebook friends in alphabetical order. The Profile tab displays a much slimmer offering of settings compared to the standard app. You have no code for friends to scan, no username to copy or edit, no Story settings or no Secret Conversations. However, what you can still do on Messenger Lite is configure your notifications and sounds, sync your contacts from your device, view message requests and switch between accounts. You can pretty much do everything you can in a message on Messenger Lite as on the standard app except use various extra features and extensions like Location, Plans, Games, Spotify, Gfycat and more. When you tap the plus sign icon in the bottom left of a message, you'll only see options for sharing photos or files. Photos you receive also won't load in full resolution until you tap to view them. Size varies by device, but Messenger Lite takes up approximately 90 percent less storage space than Messenger. As an example, Messenger Lite (version 34.0.0.17.184) weighs in at 27.58MB on a Samsung Galaxy Tab A while Messenger (version 187.0.0.29.100) is a whopping 237MB. Memory use is also cut down by half or more when you use Messenger Lite instead of Messenger. Without all the extra bulky features, Messenger Lite doesn't have to work so hard, therefore saving you precious data on your mobile data plan (plus battery life as an added bonus). And just like Facebook Lite, Messenger Lite has been designed to run on 2G networks and work efficiently even in areas with unstable or slow internet connections. What Is Messenger Lite Best Used For? If your device is fairly new and has decent storage space, it can likely handle the power and size of the standard app. Likewise, if you don't mind the added features that Messenger offers and actually prefer using them, you might want to stick with it since Messenger Lite does away with most of them except for basic messaging and video calling. Messenger Lite is only for Android devices and available from Google Play. You can still use it even if you're signed into Facebook/Messenger on other devices (iOS, Android, web) or the same Android device using the standard Messenger app. Follow the instructions below download and install Messenger Lite. Visit the Google Play Store on your Android device. Use the search field or your voice at the top to do a search for "Messenger Lite." Select the Messenger Lite app from your search results. Tap Install. The app should finish installing fairly quickly given that it doesn't take much space. Once the install is complete, tap OPEN. If you already have the standard Facebook app or Facebook Lite app installed on your device and you're signed into your account, Messenger Lite might use them to automatically grab your login details. Tap Continue to log in. If you don't have any Facebook apps installed or you're not logged in, you might need to enter your log in details manually. Tap Log In.